With gold prices reaching all-time highs over the past few years, there has never been a better time to sell. Toronto Gold offers a 150% guarantee that our prices for jewellery are the best you will find. 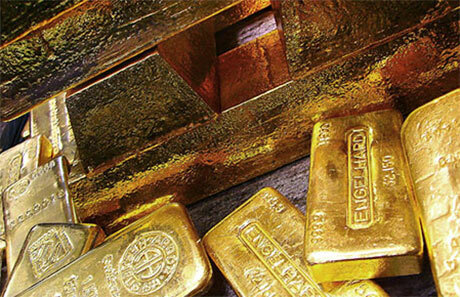 Our prices are set daily and reflect the current market rate of gold. For coin purchases, we pay up to 95% of the spot rate. For jewellery purchases, we pay between 70% and 80% of the market rate in order to account for refining costs. The table below shows today’s prices per karat. There are no fees, charges or commissions on top of this! All of our appraisals are free and we do not charge for simple stone removal. If you do decide to sell, we will write you a cheque on the spot that can be cashed right away. Please note, we do not purchase any bullion on the weekend. For purchases that have payouts exceeding $200.00, we will require the client’s Social Insurance Number as well as a Canadian Government Issued Photo ID with proof of address. For more information on the requirements of selling bullion, please visit the Canada Revenue Agency website. Please call us in advance if you intend on selling any bullion over $1000. Toronto Gold is Ontario’s premier precious metals buyer. We will buy any item that is solid gold, silver or platinum. In order to answer common questions we have included a list of things we do buy. However, note that this list is not complete and does not include everything we buy! We don’t buy Knives, gold plated or gold filled items. The following is a list of item stamps signifying items that are not solid gold. 1/10th 10Kt, 1/20th 12Kt: Items only contain 1/10th of their weight as 10kt or 1/20th of their weight as 12kt.